Hello and welcome! It’s time for this week’s The Hearth and Soul Link Party. This week’s features include cookies and more. 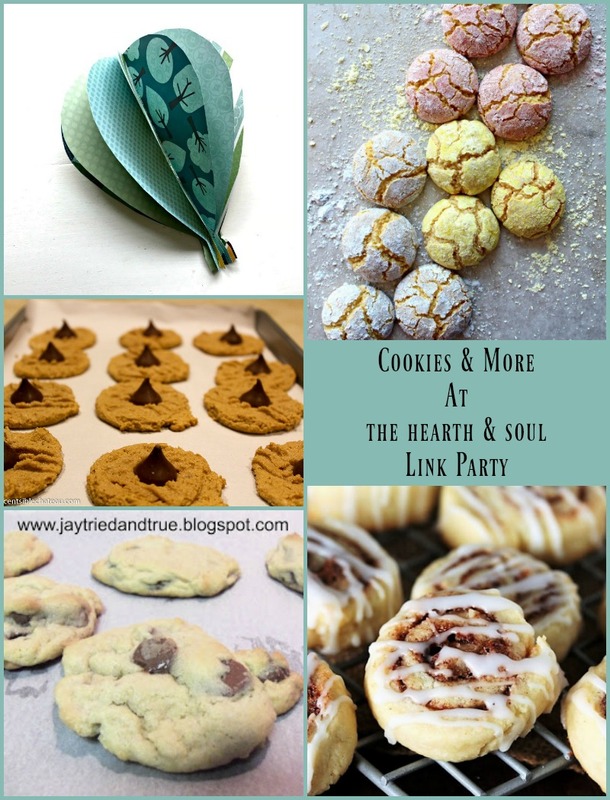 At The Hearth and Soul Link Party, you are welcome to share blog posts about anything that feeds the soul. This includes family, home, recipes, decorating, crafts, DIY, travel, organisation, book reviews, the arts, self improvement and more! We have been in California for the last two weeks. My husband was on business, but we managed to enjoy some fun on the weekends, including spending a day doing one of our favourite drives. The 17 Mile Drive along the Monterey Coast to Pebble Beach is one of my favourite drives in the whole world. 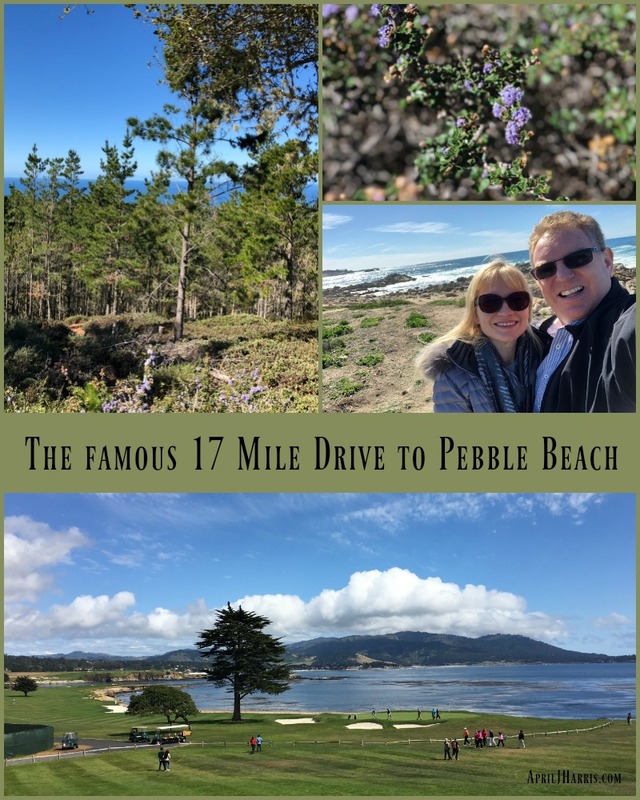 Find out more about the iconic 17 Mile Drive and check out my highlights! Last week I also shared one of my favourite brownie recipes. 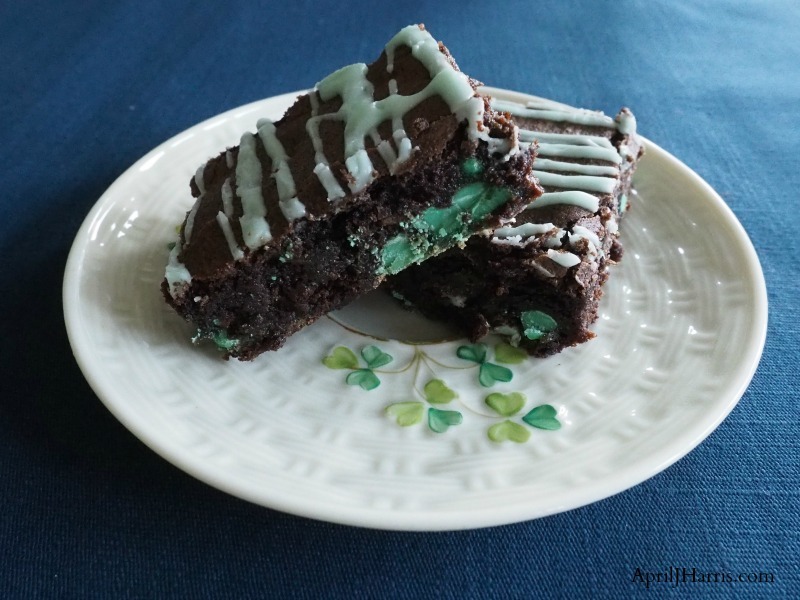 If you love chocolate mint as much as I do, you won’t be able to resist these Chocolate Mint Brownies! Perfect for Easter and Spring Parties – Gluten Free Flourless Soft Almond Cookies from The Monday Box. These Cinnamon Roll Cookies from The Kitchen is My Playground remind me of a cookie I used to love when I was a child. You can’t beat a good old fashioned chocolate chip cookie like these Hershey’s Classic Milk Chocolate Chip Cookies from Jay Tried and True. These Simple Gluten Free Peanut Butter Cookies from Centsible Chateau are easy to make and I love the Hershey’s Kiss in the centre. And there are some great titles to help children cope when their parents travel in Children’s Books to Read When Parents Travel by Mary Carver. Don’t miss it! This is a no rules party, but I’d love it if you would include a link back to AprilJHarris.com in your post and/or share the party on social media. 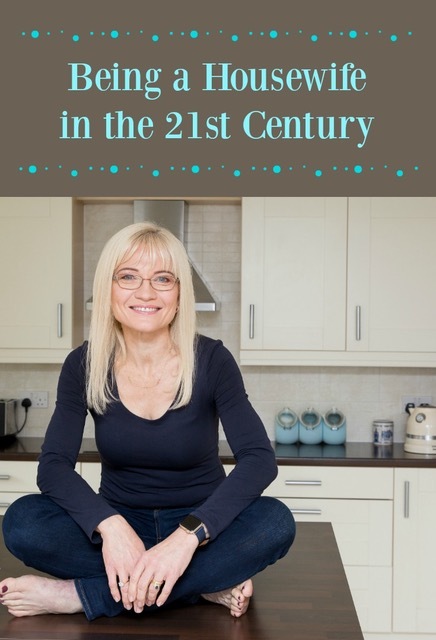 Please visit a few other posts and connect with other bloggers, make new blogging connections and be inspired! I may feature your posts and photos on my blog and social media. I may also send you emails about The Hearth and Soul Link Party. Sharing your posts here means you consent to both. You can unsubscribe at any time. Wow! The California coast and Monterey Peninsula are my favorte places to travel… Beautiful photos. Thank you so much, Carol 🙂 Have a lovely week! Looks like you’ve had a lovely time in CA! Thanks for hosting! I really did, thank you, Nancy. Thank you so much for visiting and sharing. Hope you have a great first week of spring and thanks so much for the party! Thanks for hosting April! It sounds like you had a good time in California! I really did, Pam, thank you! Happy Spring! Hope you and your husband enjoyed yourselves and the California weather did not disappoint. Weather has been erratic past few weeks here in CA. We really did, thank you. My husband was on business so I think I had more fun than he did though 😉 The weather was a bit erratic, but it felt just like home, except much warmer! What a great selection of yummy recipes, Marilyn! Thank you so much for visiting and sharing. Happy Spring! I’ve never been to California but it’s on my bucket list. There’s so much of the world I have left to see, I’d need another lifetime, lol. Thanks for the party, April! Have a fabulous week. I feel like that too, Jas! I’m blessed to travel as much as I do, but I always want to see more new places! Thank you for visiting and sharing. Hope your week is wonderful too! April! I love the pictures of Pebble Beach. Years ago, when we were first married, we lived in Pacific Grove just outside the gates to Pebble Beach. We went on the 17 mile drive often. We had friends who lived in Pebble Beach who would let us in for free. It is so beautiful there. Thanks for sharing it and helping me to wax nostalgic! Wow, pebble beach is s beautiful place. Happy Easter, April and have a nice week. Thanks for hosting. It really is, Sadhna 🙂 Thank you for visiting and sharing. Happy Easter to you too! I hope you have a lovely week as well. Hello April, today I am sharing a knit cowl I made to keep me warm on these cold and snowy days. Thanks for hosting and enjoy the week. April, so glad you’re enjoying your travels. What a beautiful drive! Your avocado toast looks so good, I just might have to make it today! Thank you for hosting. Thank you for featuring my Almond Cookies, April! I haven’t mentioned how much I love your “redecorating” of the blog! Everything is so fresh and crisp and easy to navigate. The photos and design are just lovely! It’s a pleasure, Wendy! Thank you so much for the compliments! I’m so pleased you like the new design 🙂 I hope you have a lovely weekend!